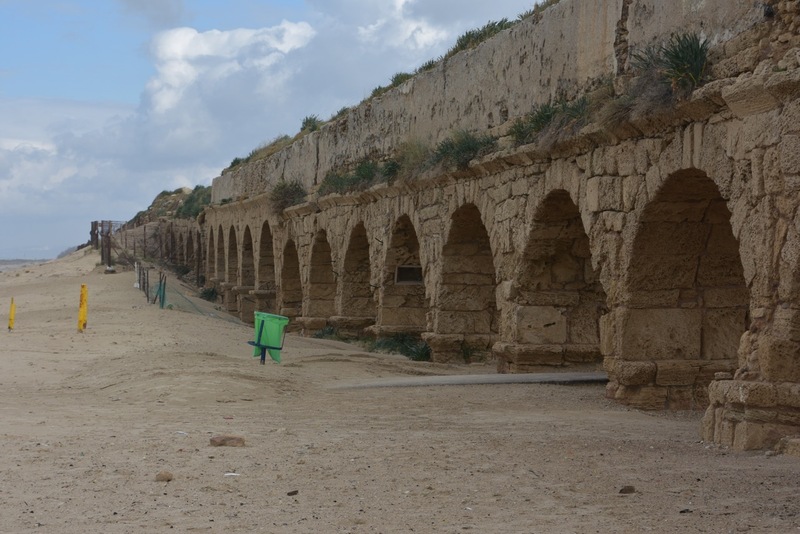 Our bus broke down during our visit to the aqueduct at Caesarea Maritime. While we marvelled at the 10 mile long construction that provided water for the Roman city of 125,000 and unfailingly drops one cm for every meter in length, cooling fluid spilled out of a ruptured pipe at the back of the bus. Although we are touring during the low season our group was able to hitch a ride in the back section of another tour bus who, like we, were on their way to Mt. Carmel. The 30 minute ride provided exposure to another guide with a different approach to Christianity and Israeli/Palestinian relations. Within minutes our group felt the dissonance. Our relief was palpable when we said our good-byes, expressed our gratitude and dismounted for lunch at the Druze restaurant at the foot of the mountain to await the replacement bus dispatched from Jerusalem. Clearly guides are critical and not homogeneous. The job description can sound generic: help people understand the area by interpreting the natural heritage and cultural aspects. Guides help us see what is important and attach significance to what might seem irrelevant. At their best they help us connect the dots between our own experience and the current or past reality we may be experiencing. And perhaps most importantly, while providing resource and guidance, a great guide leaves room for us to make our own decisions. On our particular tour, the space needed is to allow people to form some of their own perspective about the complex situation in Israel and Palestine. Guides are critical and, if we did not know it before, we learned it anew in the space of 30 minutes while hitching a ride.